Have a look at BevTec’s Website. BevTec is a beverage equipment supplying company. We designed a whole new identity to what they had before. The previous identity was rather dull and boring and they wanted something much more exciting to what they previously had. The previously designed logo or identity was rather dull and had an ugly green colour to it. Their whole previous identity was dull and uninteresting to the eye, it did not encapsulate what the company is all about. We wanted to design a logo that captures the essence of their company as well as create something that is exciting to look at and beautifully crafted. We wanted to create a logo that is futuristic and somewhat robotic. The large ‘B’ holes have been replaced with 2 beer bottles to show that they specialise in beverages and selling and dispensing their said equipment. The whole logo in itself represents a bottle cap, although a much simpler rendition of the bottle cap it captures the idea of BevTec and that they have a focus on beverage dispensing equipment. The focus of the company is not only to have equipment for alcoholic beverages but for all their client’s beverage dispensing needs. The lower BevTec in grey is created using a futuristic, almost robotic, font. This represents the company as moving forward in their endeavours. The business cards are made to represent that of a beer bottle or bottle label, or rather any alcoholic beverage, the front of the card which is the top part of the image looks as if it were to belong on a bottle label. 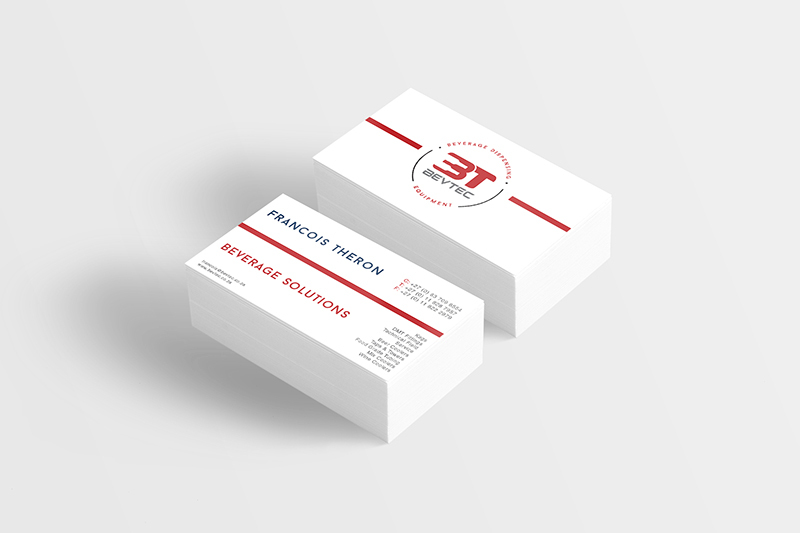 On the back of the business card, it would show the heads of the company, as it usually does, with their information and contact details next to them. Below the line, it would show what their company focuses on, almost like the ingredients found on a beverage bottle. 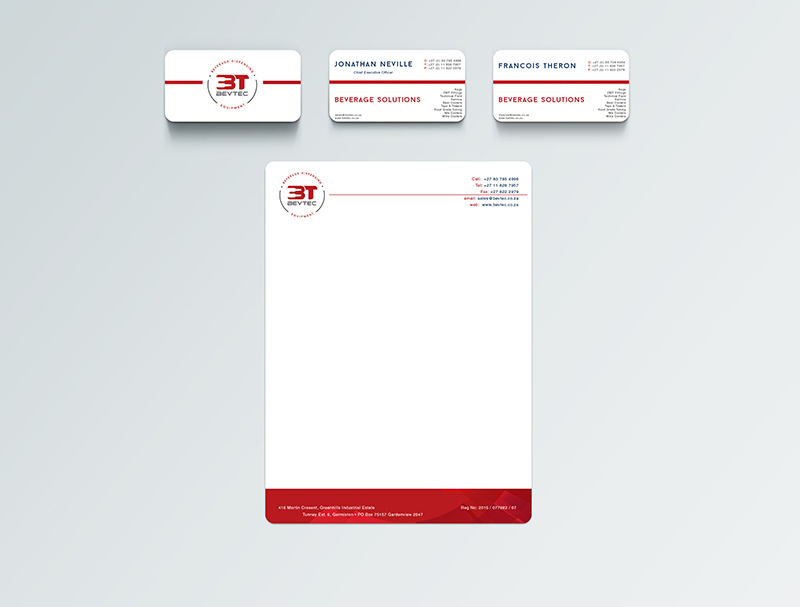 Much like the images above and sticking to the identity of BevTec the letterhead is simple and modern. 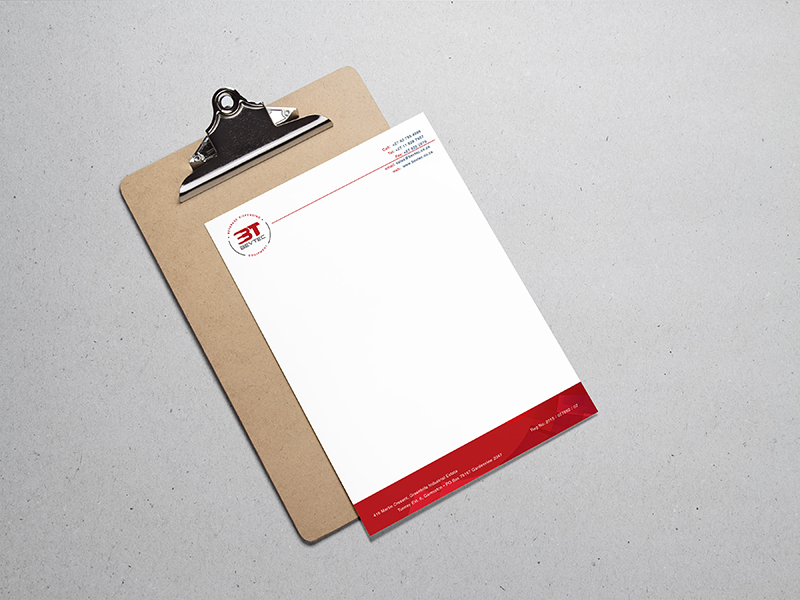 There is a faint pattern at the bottom of the letterhead and it adds to the robotic and futuristic feel of the identity.